GetResponse the name itself told that you will get some response if you will take action in your business like the same here I am going to share with you all details review about GetResponse, well CEO of this company is Simon Grabowski providing great services to internet people for growing their business. Already, I have shared with you guys about its features but today we will talk in more details that's why we will be able to get inside information about this e-mail marketing, well e-mail marketing is one of the effective tool to get in touch with your readers, customers may be paid or free subscribers, I have both that's why I am sharing with you. Lets get started with beginning, I mean from the starting of Get Response to till now, well I have used their pro plan but don't worry you can get started with the free trial and of course you don't need to use any credit card for this, just you need to have your own e-mail address and I am sure every marketers, bloggers, business people have it. They are serving in 182 countries that means you can come to know about its trust factor, its awesome is not it. GetResponse worldwide alexa rank in 2674 and that's awesome I think so, what do you think about its Alexa ranking let me know? You can create your own landing page in minute seriously no technical skills required to do it, I did already and if you got it then its okay, if you did not get it then know more about Creating Landing Page in Minutes @GetResponse. 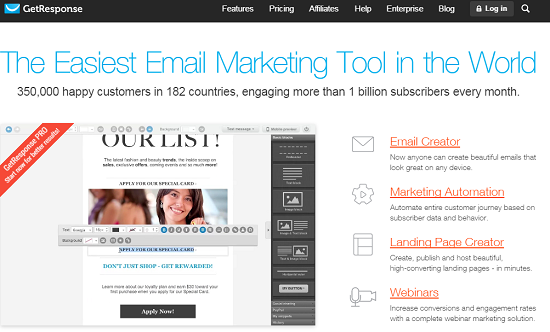 Lot of e-mail templates to choose and send your customers according to you. List management is really simple, because you can easily come to know who is clicking on your link inside the mail and who is not, in this way you can easily find out most effective customer for you to get more sells and you can get targeted sales easily. You can start your own webinars and webinars helps to get more sales than anything else. 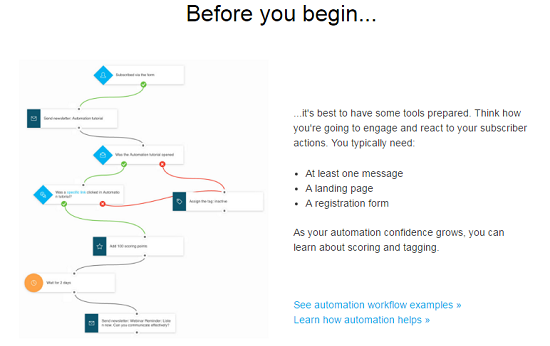 Yes, this is the latest one, marketing automation, in which I am experimenting these days. Their free video tutorials to grow your list and increase your revenue simultaneously. See, I used GetResponse for promoting my own products and as well as other products those I have used myself and found amazing. The reason was simple I got lot of staff to share because personally I used, like the same for Get Response, personally I used this tool and that's why I can share with you lot of staffs about GetResponse. When first I logged in to my Get Response account in that time I was new to their platform so I got little problem but within two to three days I become familiar with it and become habituate of writing e-mails with Get Response, see I have subscribed to their baby startup plan that is $15 per month for sending unlimited mails and of course every $1 I spend on this tool, I have earn $10 out of it, that means for me 900% ROI. But, here is the fact I got from a survey about ROI, In fact, every dollar you invest into an email marketing campaign can return a $25 profit (DMA study, 2014), that is awesome is not it, but that would be depend on person to person, product your are promoting, but it is profitable that is for sure, that's why it has been grown to 300,000 users. You can send unlimited mails even in trial period. 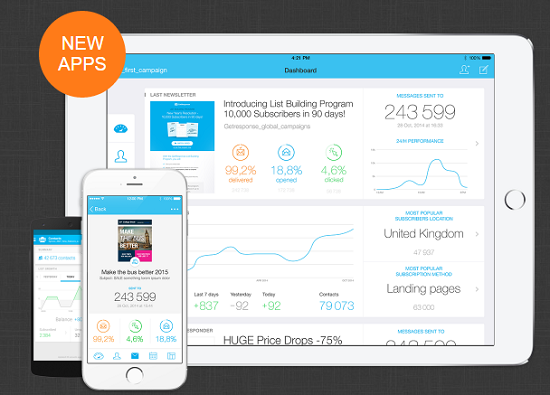 Many tools are integrated with amazing features like forms, webinar, tracking, landing page, automation which is the newest one. You can not get phone supports everyday in week. Yes, after reaching there you need to click on the activation link which is required and this option you can find out in the inbox of the e-mail account. After then you will be moving to the activation link on the Get Response, which will be asking you to fill the form further like adding your address, mobile number, yes, mobile number is most important, because you also need to verify your mobile number to active your account. Yes, now there you go to get started, see I don't know whether you are having list or you are just getting started, then I will suggest you to create form and get use that form to collect e-mails, see collecting e-mails of your readers like collecting golds, because later you can send them mails, because they become your subscribers. Let me share with you first what I did with my list? 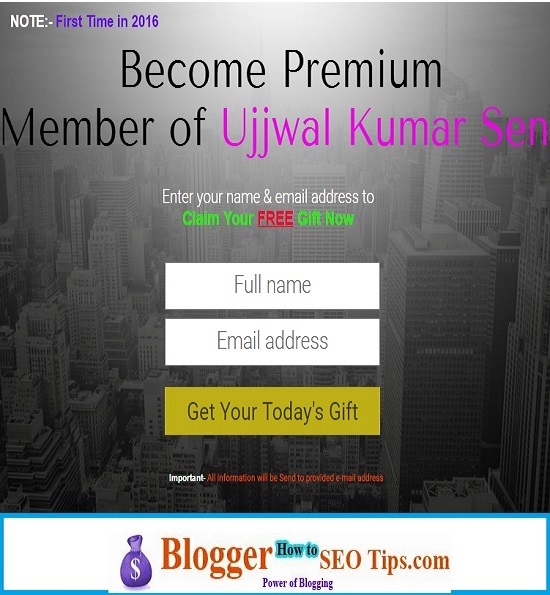 Specially those are my new subscribers, I have created a banner advertisement and put it on my blog sidebar there are more than 100 people subscribes to that list and I wanted to share step by step guide to start blog with only 100 people and after reaching 100 people I have remove the banner. Here, automation works, means I have set auto-responders for next seven days and every time anyone subscribe to the list they start getting mails from me for next seven days and it all happened once I have set up the system. 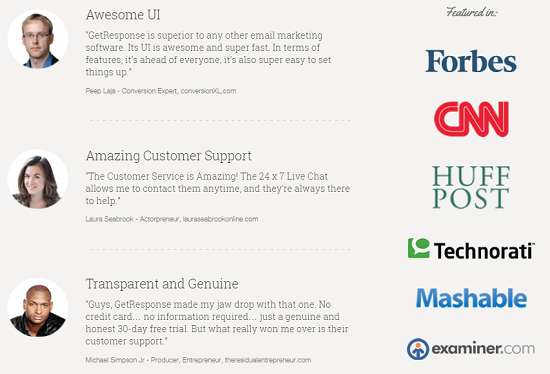 Well, it was my dream to create landing page in minutes and it happened only because of GetResponse. Yes, you can create your own highly converting landing page, that exactly I did and every 2 people land on the page one person subscribed it that means 50 percent conversion rate. Well, I wanted to share with you other features of GetResponse with screen shots that's why it will be easier to understand for you, see there are many features from automation to learning how to do things much better way. 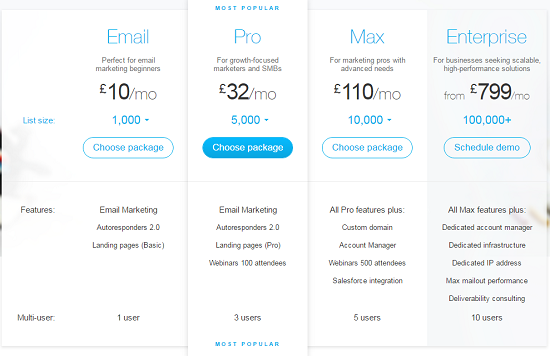 Okay, lets talk little more about this type of e-mail marketing, see till now I have shared with lot about this mail marketing tool and of course my own experience about GetResponse, here is the step you need to take, that is get started to today and no credit card required for next 30 days. Yeah, E-mail marketing is the key to get success in internet business because you can able to get instant traffic to any page where you want may be to your articles, sales page or anywhere for this you need a right tool because without it you cannot get good outcome of your effort you are putting. So, here GetResponse is pushing forward to help all those wanted to get good revenue from internet business, that’s why they are giving 30 days free trial for you, so why not to take test drive for it, who knows it will become breakthrough for your business. 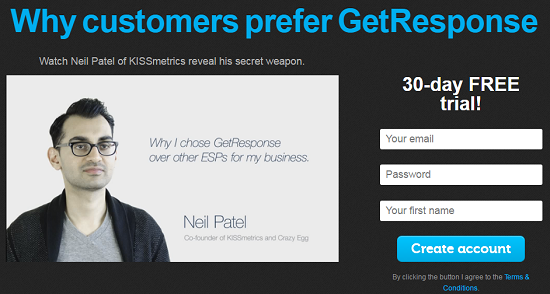 Is there anything you would like to know about GetResponse & E-mail marketing?